Planning an event can be stressful. How can you impress your audience and stand out from the crowd? How can you take advantage of all that modern technology has to offer? How can you most effectively communicate the message you wish to impart? For a little inspiration, review the latest audio-visual trends for events. They may inspire you to improve the audio-visual setup of your next meeting or event. If you aren’t careful, your business’s audio-visual technology could bore event-goers or communicate the wrong message. Instead of sticking with the status quo, consider how you might up your game. Could you implement one of these audio-visual trends for events? The days of distributing or posting handouts, flyers, and printed graphics for a promotional campaign are over. In today’s digital world, competition for attention is fierce, so digital displays are a vital tool for getting your message in front of your audience. While the type of information being shared may be the same, the style of delivery is very different. Video presentation, digital signage, LED displays, and other digital setups create a more interactive experience that makes it more likely that you will capture people’s attention and hold onto it long enough to get your message across. When you want your message to look sharp and fresh, display it on a cutting-edge screen. Today, that generally means using an ultra-high definition screen. Also referred to as 4K displays, these screens provide highly detailed, crystal-clear images. The secret is in the pixels: A display’s resolution is determined by the number of pixels each inch contains. The more pixels per inch, the better the picture. A 4K display offers over 8 million active pixels. That is four times the number of pixels that make up a high-definition display and more than 23 times the resolution offered by a standard definition screen. What if your source material is not 4K? A 4K display can still make it look more appealing. While these displays cannot add in detail that was never there, they can utilize an upconverter to smooth rough edges, sharpen lines, and even out color and light. As a result, even video that is not originally 4K looks crisp, vibrant, and natural. Do you want to make it easier for your audience to absorb the information that you’re presenting? Deliver it in a video. A video that is clever, interesting, and informative will lure people in so that you can make your case effectively. For an exciting, attention-grabbing presentation that increases your chances of communicating well, you’ll need high-quality content. Enlisting the professional services of a talented videographer and/or video editor is a wise move that can help ensure the quality of your presentation. Ultramodern and groundbreaking, virtual reality (VR) and augmented reality (AR) are among the biggest audio-visual trends for events. These technologies have flourished in the fields of video gaming and entertainment, so you have probably heard the terms tossed around. While both VR and AR add something extra to a user’s current reality, there is a difference in the experiences that they provide. Virtual reality is an active experience that allows users to take part in their own encounter. In contrast, augmented reality delivers a passive experience that sweeps users along for an enhanced ride. 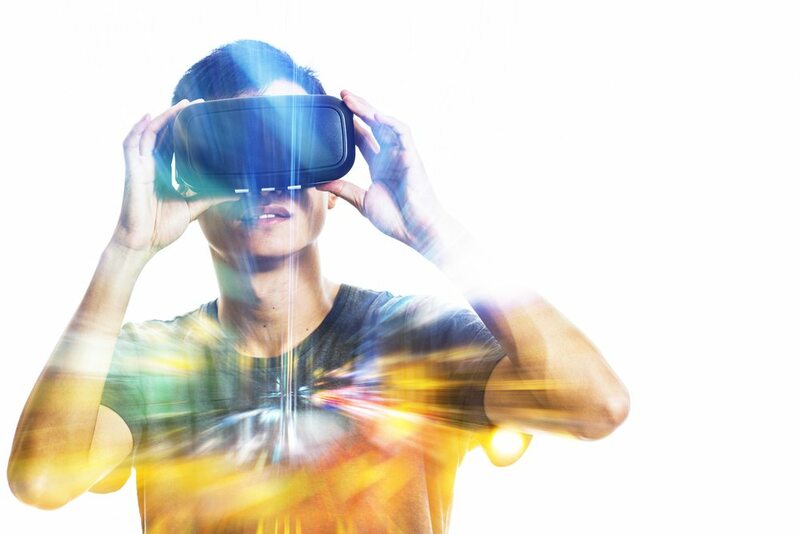 Combining real events with virtual or augmented reality technologies can create an interactive and unforgettable experience. When you want to incorporate the latest audio-visual trends into your presentation, count on Southwest Audio-Visual. Experienced audio-visual professionals, we understand how to get the most out of the latest audio-visual technologies. We’ll work with you to help you select the equipment that you need to make a winning impression. We supply a variety of A-V products and services, including audio-visual design and integration, equipment rentals, video conferencing, and event services. To get started, please contact us online or give us a call at 417-887-4900 (Springfield) or 636-225-4327 (St. Louis). We would be happy to help you with all of your A-V needs.